The overwhelming joy of 'Next Level' as President Muhammadu Buhari campaigns In Port Harcourt, Rivers State. President Buhari campaigned in Rivers state today, the crowd that came out for him was overwhelming. 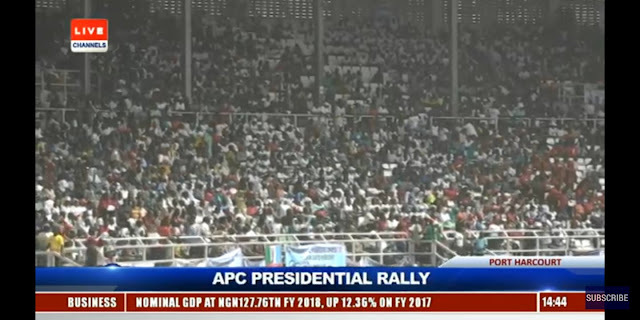 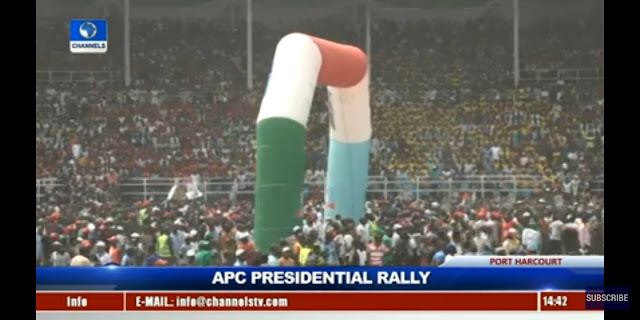 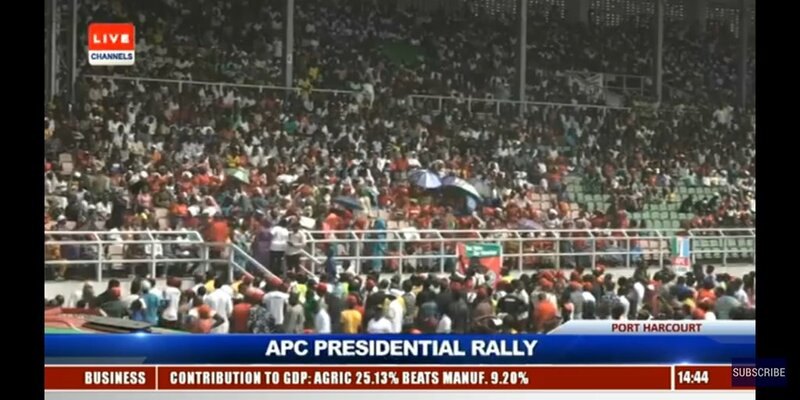 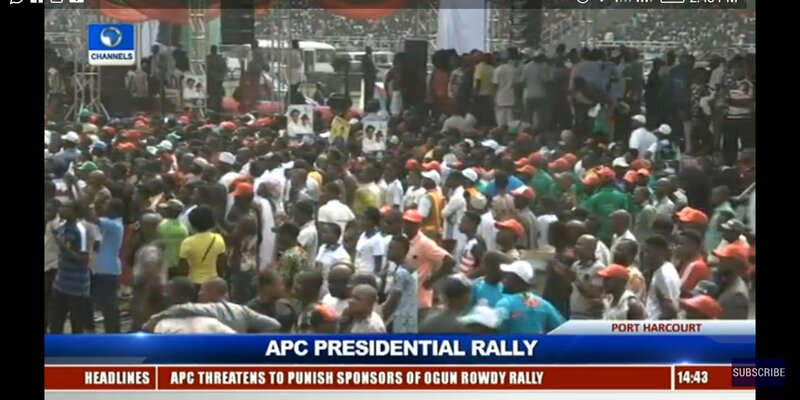 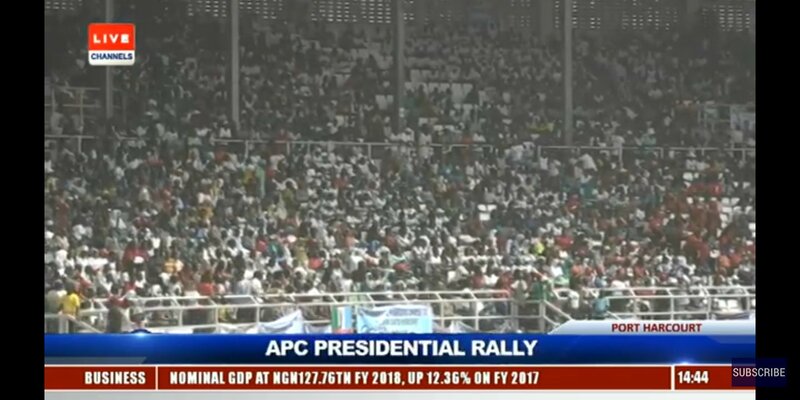 Some never anticipated that PMB will pull such crowd in Port Harcourt. 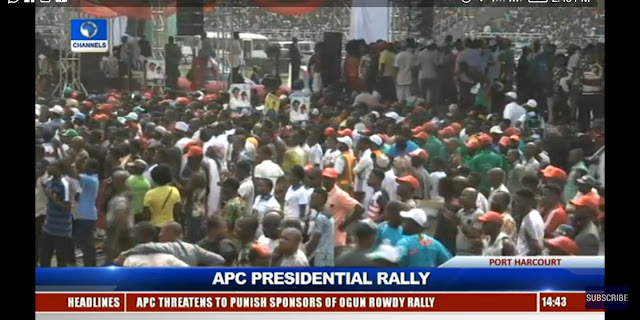 Watch the overwhelming video below ..